Reduce pain, stress and create relaxation and well being. Healthy Roots Mobile App A Great Way To Stay Connected And Book Appointments! 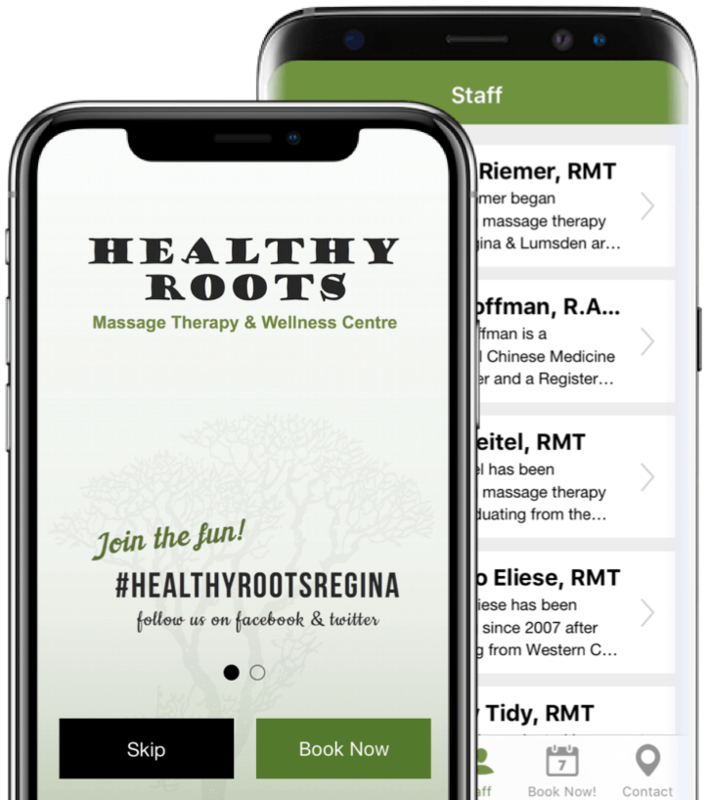 Available free on iPhone and Android, the Healthy Roots app is a great place to view and book online appointments, view staff and learn about our services. The app will make it even easier for everything Healthy Roots. Give us a call and get directions through the app! *Please note: Evening appointments are available Monday - Thursday, BY APPOINTMENT ONLY and vary depending on practitioners availability. Appointments may start earlier or stay later than times stated above.